Mother’s Day is the 11th of March this year, so it’s time to plan her gifts! 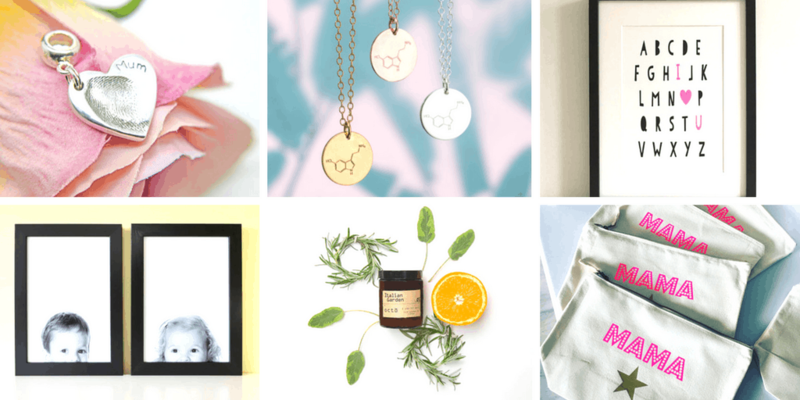 To help inspire you, I’ve selected some of my favourite present ideas from independent makers at Etsy, who have a great selection of unique Mother’s Day gift ideas. Read on for lots of gorgeous unique Mother’s Day gift ideas, many of which can be personalised for an extra thoughtful touch. From pictures are homeware, to jewellery and t-shirts, you’ll find Mother’s Day gift inspiration for mums of all ages and personalities. Buying from Etsy supports small businesses and independent makers, and as a small business owner myself, I know the joy that brings! I have included affiliate links to each of the Mother’s Day gift ideas I have chosen. This means if you click through and buy, I get a little referral fee, which helps me maintain my blog at no extra cost to you. What mum doesn’t need more energy? 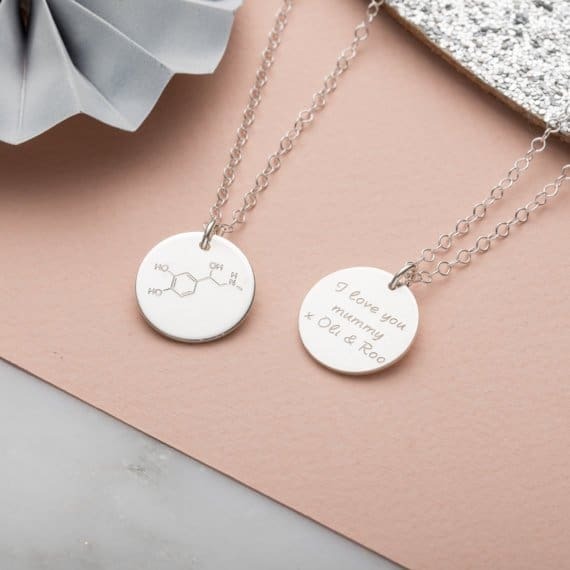 Now I’m not saying this personalised Energy Molecule Necklace from Posh Totty Designs (from £45) will actually give extra energy, but it’s very pretty, and available in gold, silver or rose gold. The necklace is made at Posh Totty Designs Brighton workshop, and can be engraved on the back. A personalised necklace with children’s initials would be a charming Mother’s Day gift idea. 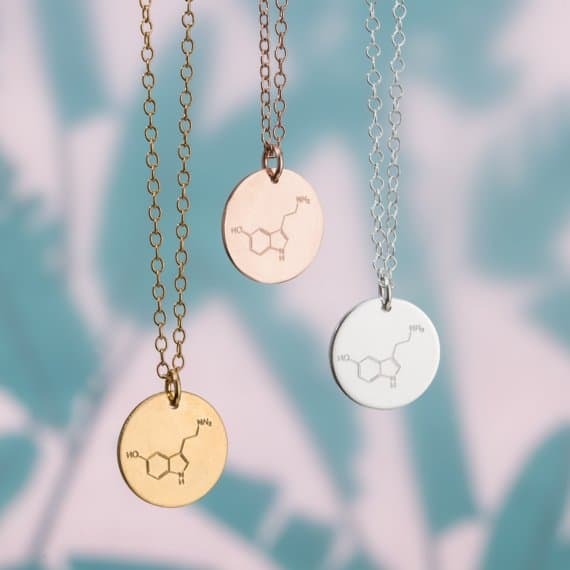 This custom necklace from Layered and Long (from £39.12) is firmly on my wishlist. 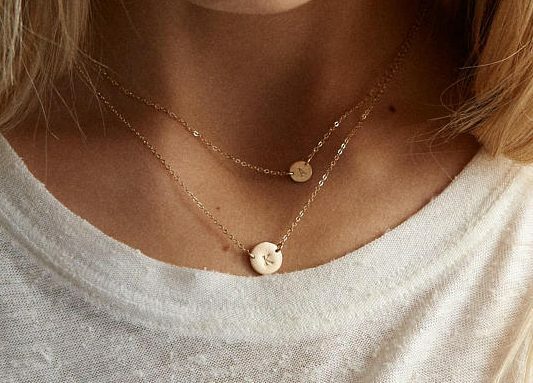 This dainty double necklace is available in gold fill, sterling silver or rose gold fill. It can be personalised in several fonts, or you can choose symbols. The materials are ethically sourced and personalisation is done by hand, with packaging handmade with a letterpress. 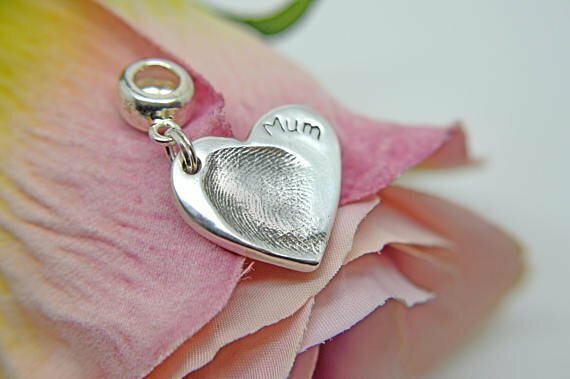 How about a sterling silver fingerprint heart charm (from £65) for a lasting memory for Mother’s Day? Itsy Bitsy Imprints will incorporate up to two fingerprints per charm, and can be easily added to most charm bracelets. You can have a word engraved on the charm alongside the fingerprint, so it’s a totally unique gift. They’ve made it easy to take the prints, as they will send you a no-mess print taking kit free with every order. For babies under 12 months, they recommend taking a whole hand or footprint. 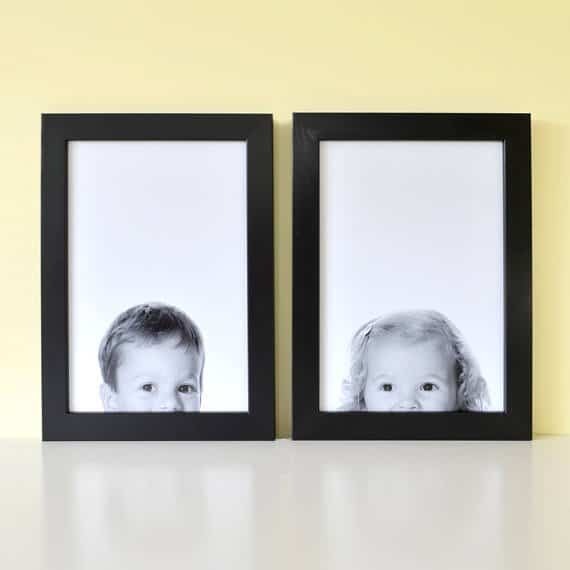 How adorable are these Peeping Portraits (starting from £19.99) from Hello Ruth? Just pick your cheekiest pictures and they’ll be transformed into these lovely artworks. I think this would be a fantastic unique Mother’s Day gift idea for Grandmas and Grannies too. Don’t worry if your photos don’t have a white background, Ruth will remove the background, turn it into black and white and made into to the perfect size. If you prefer colour, that is also an option. 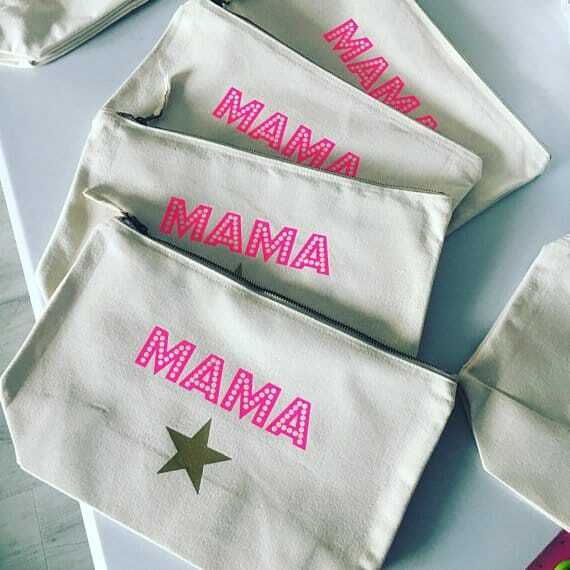 What mama wouldn’t love a personalised make-up bag? Neon Marl have some gorgeous unique Mother’s Day gifts, including this personalised medium make-up bag (£15) and cute ‘Mama’ large make-up bag (£20). 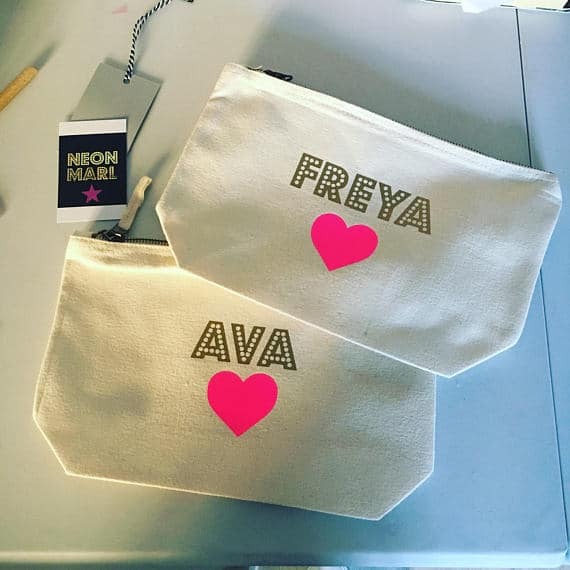 You can get these make-up bags personalised, choosing from natural or black with gold, copper or neon pink vinyl for your chosen name and either a heart or a star underneath in the colour of your choice. This Mother’s Day, why not give a gift that mum and baby will both love? 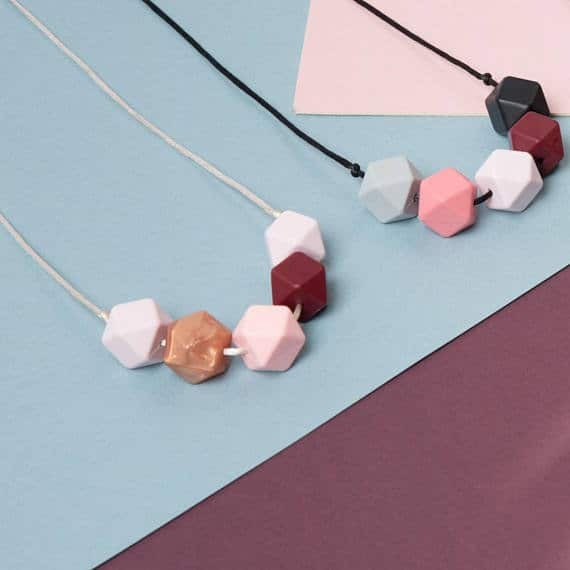 Boo Chew make gorgeous necklaces that are totally safe and irresistibly chewable for teething babies. These stylish teething necklaces will even help entertain baby when they are feeding. They have breakaway clasps, so if baby pulls too hard the clasp will simply come undone. All necklaces are popped into a branded organic cotton bag. If this is a gift, let Boo Chew know what message you would like included! 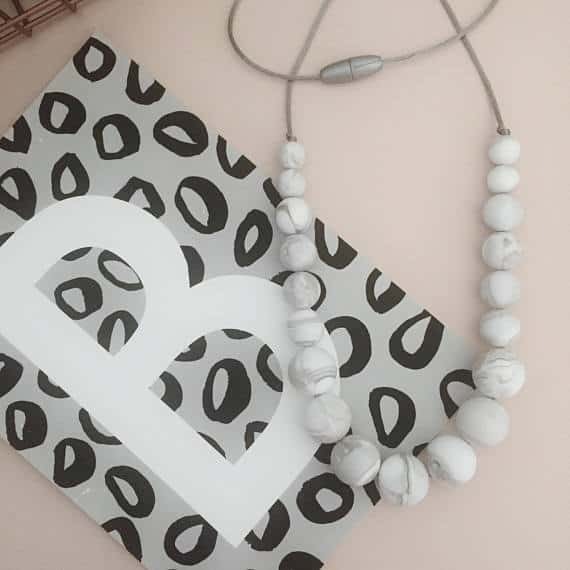 This marble effect teething necklace (£12.50) is so chic, it would go with any outfit. If she likes a splash of colour, she’ll love the Suzie teething necklace (£12.99). 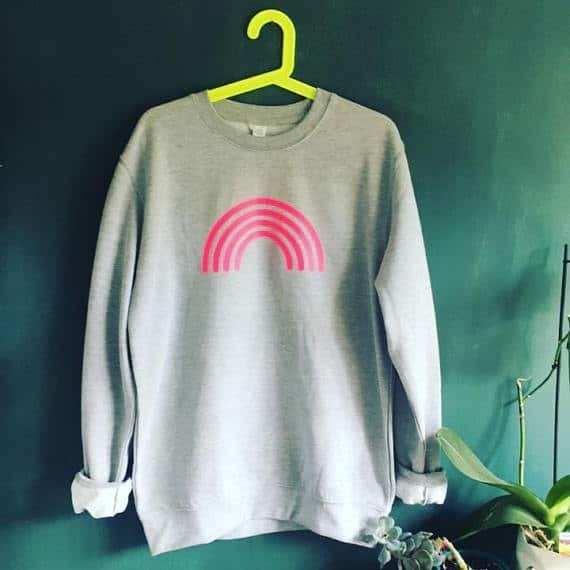 Neon Marl have a fab range of sweatshirts, including this gorgeous Boyfriend Fit Rainbow Print Sweatshirt (£30)*. You can even pick what colour design you want so it’s unique to her. Choose from grey or black, with neon pink, neon yellow, neon orange, neon green, gold or silver design. 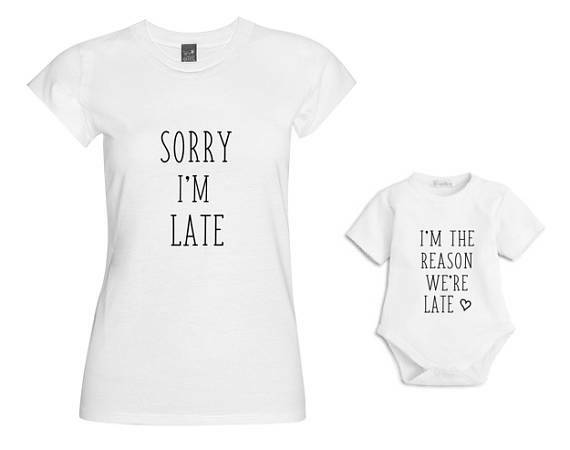 A mum and baby matching t-shirt set is a super-cute idea for a unique Mother’s Day gift. This cotton t-shirt and matching romper from LoveMimiX (£17.49) are not only sweet, but funny. If you’re buying for an always-late mum (that’s most of us! ), this set is bound to be a winner this Mother’s Day. 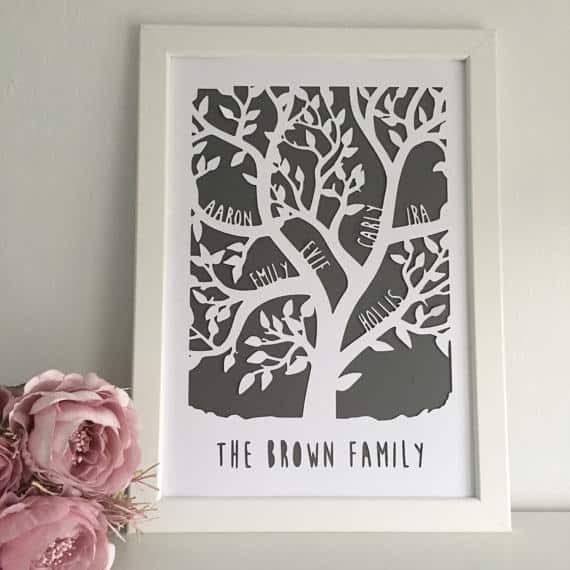 A personalised family tree paper cut would make a really thoughtful, unique idea for Mother’s Day, and this paper cut by lovefromAngie (£25) comes ready to hang in a black or white frame. You can choose from 11 background colours and have up to eight first names in the branches. It comes gift wrapped too, making it the perfect Mother’s Day present. 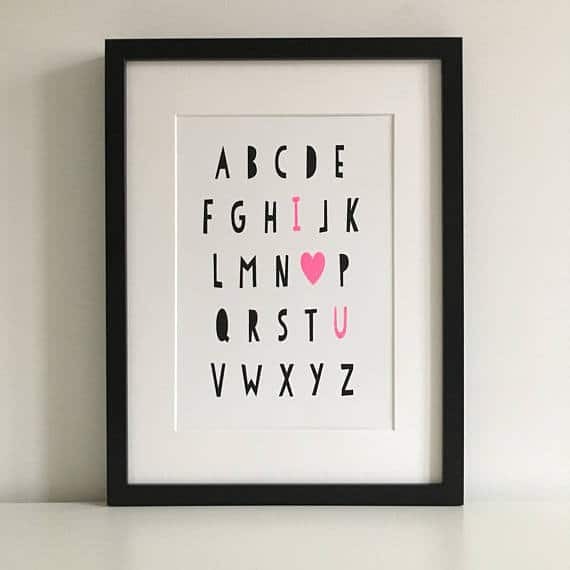 For mums who like neon pink and glitter, how about this lovely hand screen printed I Love You print from Flat 102 (£20 unframed). Each print is individually hand screen printedusing non toxic water based inks. The alphabet is printed in black, with the I, O and U in neon pink, covered in glitter. 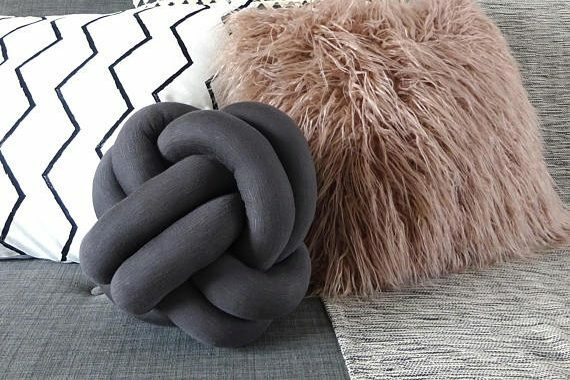 I don’t know a mum who doesn’t like a lovely cushion and The Room Alive have a gorgeous selection including this fab charcoal grey knot cushion (£32). It’s also available in light grey and blush pink. 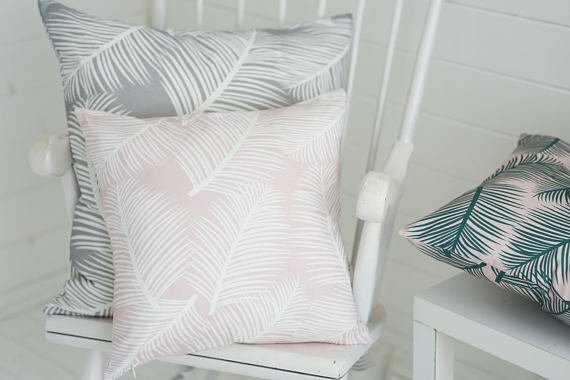 They also have lovely palm print cushions (£37 each) in several lush colourways. What a gorgeous way to give the sofa a makeover! 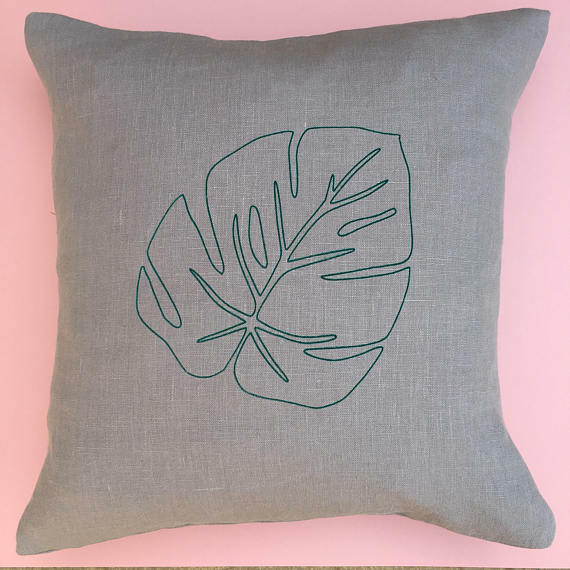 Flat 102 also have this gorgeous Monstera Leaf hand screen printed cushion (£40). This linen cushion cover is designed, screen printed and sewn by Steph, using water-based non toxic inks. Flowers always go down well for Mother’s Day, but what if they lasted a lot longer than a week or so? 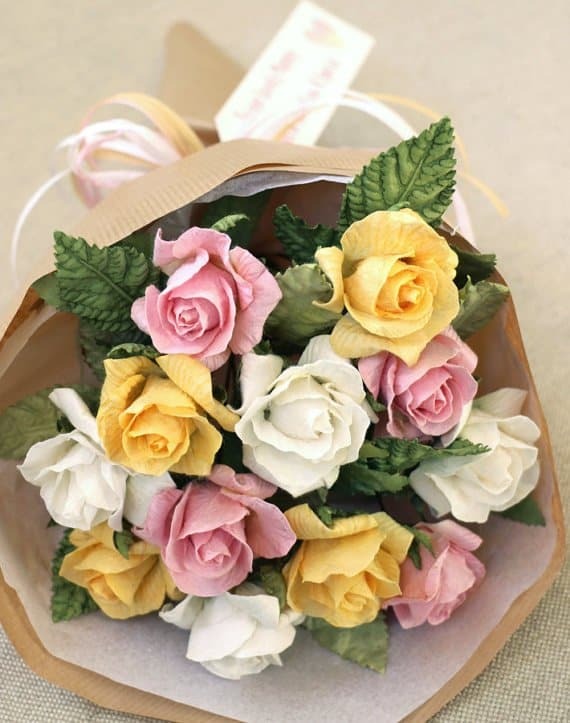 This handmade paper roses bouquet from PaperTreeUK (£35.95) are so stunning and make a permanent and unique Mother’s Day gift idea. OctoLondon make gorgeous soy wax scented candles, like this Italian Garden candle (£12 for 120 ml or £18 for 180ml). 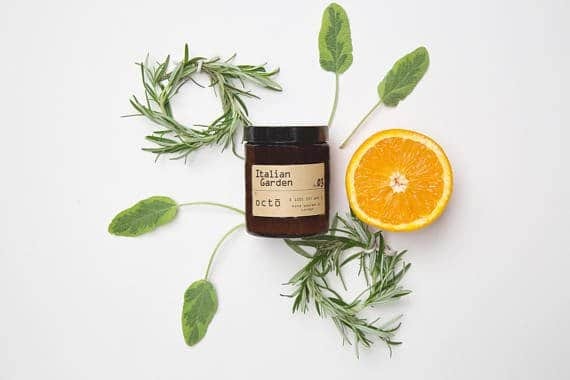 This one is fragranced with orange, rosemary and sage therapeutic-grade essentials oils, great for a natural lift and memory booster, according to OctoLondon – and what mum doesn’t need that? 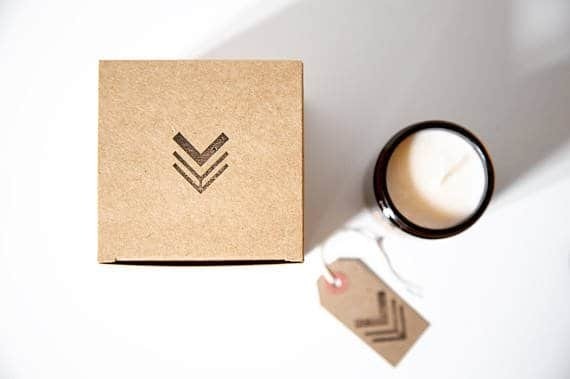 Octo candles are hand-poured in small batches in London,using local supplies, and packaged in a recycled cardboard box. Natural soy wax is renewable, sustainable and phthalate-free. It also burns cleaner than paraffin-based candles, so it’s a great choice if children are in the house. 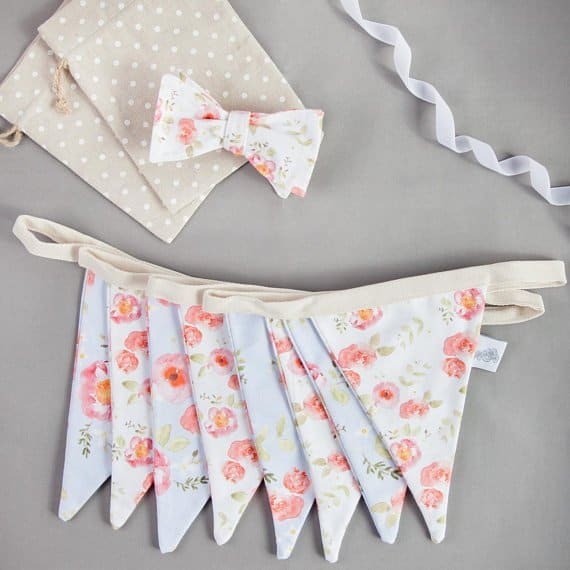 A string of pretty handmade bunting from Anna Jayne Designs (£18) is a lovely Mother’s Day gift, and it comes in several designs. This is my favourite design, isn’t it pretty? I hope my unique Mother’s Day gift ideas have given you some inspiration – why not Pin this post for later, or share it as a hint?